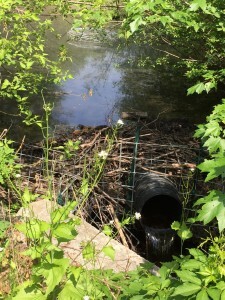 Dr. Allen Rutberg was discussing human-beaver conflicts in one of his classes this spring of 2016 and found a good example for them within walking distance to campus. 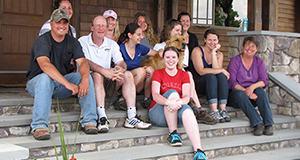 The classes are in the Animals & Society Wildlife Module, where Masters in Animals and Public Policy (MAPP) students explore a number of issues specific to wildlife policy and human-wildlife relationships. 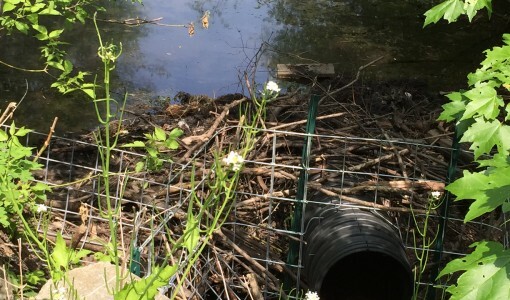 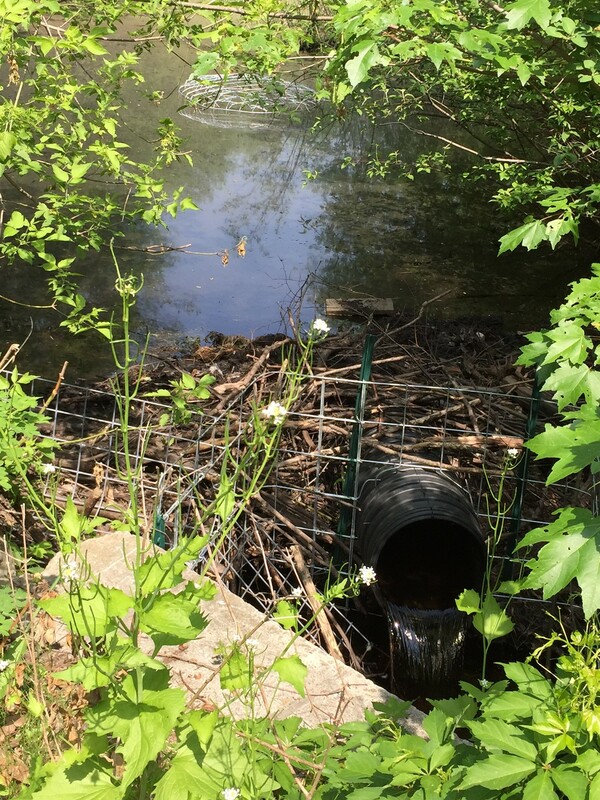 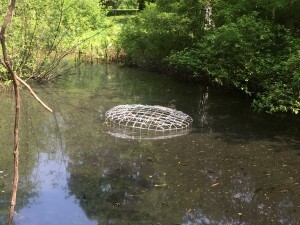 This system is designed to work with the beaver dam and maintain the pond water at a safe level.